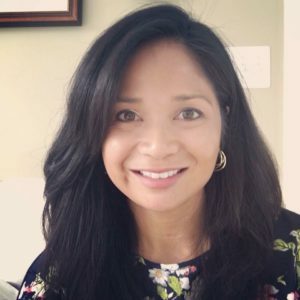 Director of Operations: Michele (Cruz) Phillips. 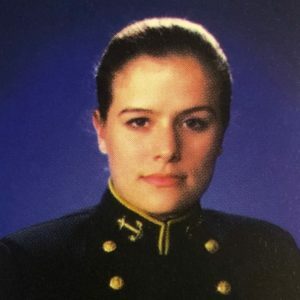 USNA Class of 1998 – Seventeenth Company, Glee Club, Women’s Crew, B.S. Mechanical Engineering. 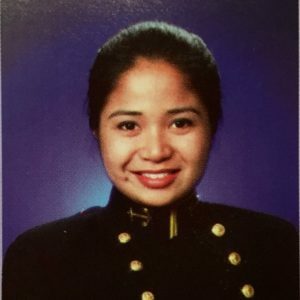 Surface Warfare Officer (1998-2004): USS Essex LHD-2/USS Belleau Wood LHA-3 Engineering Division Officer, USS Benfold DDG-65 Combat Information Center Officer, USNA Seamanship and Navigation Instructor. MBA, Johns Hopkins University (2007). Turner Construction (2004-2008), Commander In Chief HOMEFleet (2008-2015), US Embassy Ankara Facility Management (2015-2017), Patriot Construction (2017-2018), Naval Facilities Engineering Command (2018- Present)*. Resides with husband (and classmate) and two boys in Maryland. Founding member of the Sisterhood because we should strengthen and celebrate the unique bond among female graduates of USNA. I believe in giving back to our beloved institution by providing a platform where various experiences and perspectives can be shared openly, further contributing to the development of our nation’s future leaders. *My opinions expressed on this blog are my own and are not the opinions of the Federal government. 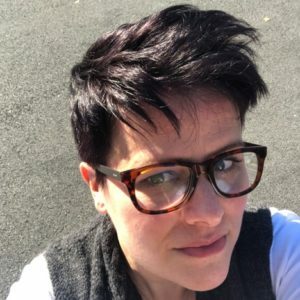 Chief Editor: Shannon Martin. 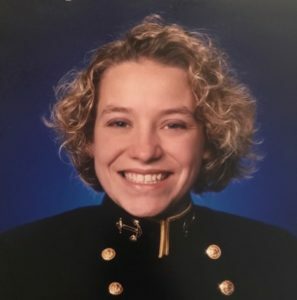 USNA Class of 1998 – Seventeenth Company, Women’s Crew, Glee Club, B.S. Honors History, Masters of Social Science in History from the University of Latvia, Naval Aviator (1998-2018): HC-6 Tactics Officer and Detachment Assistant Officer in Charge (2001-2003), Olmsted Scholar – Riga, Latvia (2004-2006), COMUSNAVCENT/COMFIFTHFLT Fleet Watch Officer (2006-2007), HSC-2 Training and Operations Officer (2007-2012), Nimitz Operational Intelligence Center, SPEAR Team Lead for East Asia (2012-2014), USS PONCE Air Officer (2014-2015), Naval Safety Center Aviation Safety Analyst (2015-2018). Shares three boys, two dogs, and a cat with a fellow graduate whose only flaw is his graduation year (1998-1). Founding member of the Sisterhood because we have stories to tell, stories that we need to hear, and stories we have not yet discovered. We are Stronger Together, and our beloved Naval Academy will be stronger when we add our voices. 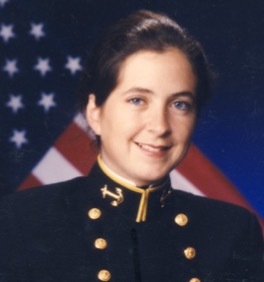 Chief Programming Officer: Jeannette Gaudry Haynie, USNA Class of 1998 – Fourth Company. B.S. Honors Oceanography, MA Political Science, PhD International Relations. Marine Corps AH-1W Cobra pilot, Strategic Analyst, and Talent Management Advocate, (1998-present). Adjunct Professor (Gender and Conflict/Terrorism), (2016-present). 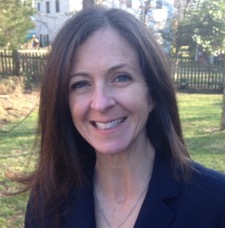 Senior Fellow at Women In International Security Nonprofit (2015-present). Founder/co-leader, Outdoor Leadership Lab (2015-present). Married to Chris Haynie, USNA 1998, a fellow Marine officer, and mother to Annette (13), Juliette (10), and Tom (8). Founding member of the Sisterhood because it is time for us as women to build each other up and develop leaders who have broader perspectives, empathy, and can humanize others. We can use our voices for good and for positive change. 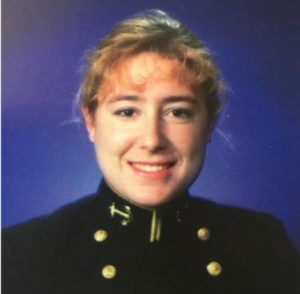 Editor at Large: Kate McCreery Glynn, USNA Class of 1998–26th Company. BS English, Masters in Public Policy (Harvard Kennedy School). Navy H-60 Pilot (1998-2007). Foreign Affairs Specialist, National Nuclear Security Administration (2013-present). Wife to Patrick Glynn (98-1), who I met in the dunker tank at flight school. Mom to Keegan (12) and Fiona (10), and 300+lbs of dog. Politics junky, Twitter stalker, Hatch Act limited feminist killjoy. Founding member of the sisterhood because I want to be the woman I needed as a plebe. 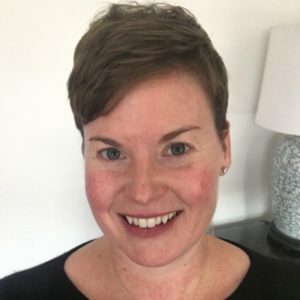 Programming Lead: Jennifer Marino Parsons. USNA Class of 1998 – Tenth Company. BS Honors Oceanography; Master of Military Studies; Master of Applied Positive Psychology; MA in Health & Wellness Coaching. Marine Corps CH-46E Pilot; White House Liaison Officer; Aide to 17th CJCS. Married to CWO5 William Parsons, USMC. Former Executive Director of Boulder Crest Retreat for Military and Veteran Wellness. Current Leader of Camp Lejeune Leadership Seminar and national board certified health and wellness coach. Founding member of the Sisterhood because connecting and collaborating with my USNA sisters helps me be the woman I want to be. By doing so, I can help others be the women (and men) they want to be, and together we can make this world a better place. 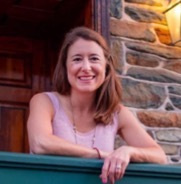 Project Manager: Carrie Howe – USNA Class of 1998, 19th Company, Women’s Crew. BS English with Merit, Minor in Spanish; MA in Military Science; MS in Psychology. Retired Marine CH-46E Pilot. Peacekeeper with the UN Mission in South Sudan. Marine Attaché to the Republic of Singapore. Foreign Area Specialist for Sub-Saharan Africa and Southeast Asia. Married to Mr. Hamza Begdouri; mom to Noor (3). People helping people—it’s powerful stuff. Women helping women (and men! )—even more powerful to make each other the best versions of ourselves. 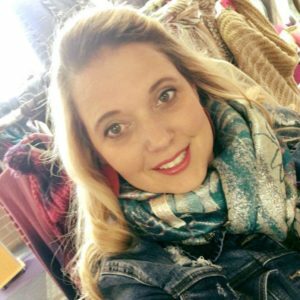 Webmaster and Public Relations: Beth Ann (Thomas) Vann. 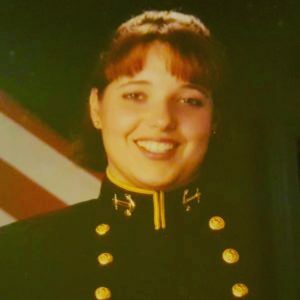 USNA Class of 1998 – Second Company, Powerlifter, Jolly Rogers Silent Drill Team, B.S. Aerospace (Astro) Engineering, MBA, US Army AH-64A/D Apache Pilot (1998-2007), USA/USMC Counterinsurgency Center (2007/2008), Federal Aviation Administration (2008-2018), BethAnn’s Boutique (2015-present), Weber Inc (2018-present). Married to Bobby Vann, USA Retired, and mother to Nicholas (21 – PFC US Army), Ryan (13), and Isabella (8). Founding member of the Sisterhood because we are truly Stronger Together and can do better supporting each other on this journey. This is an opportunity to give back to the institution and the fierce men and women that gave this enlisted kid from Georgia so much opportunity when the rest of the world thought so little was possible.